LG Display has been held up by the South Korean government, which has deferred its approval of a new plant in China by the firm, but the company remains optimistic as the time is ripe, an executive at the company said. Lee Jung-han, an executive of LG Display’s chief marketing office division, said, “We view (that approval for the plant) should be made and it is likely to be made. Timing is important and we view that the time is now,” when local reporters asked about the progress on building a plant in Guangzhou, China after his speech on organic light-emitting diode TV panels at a local display conference Wednesday. In July, LG Display announced its plan to build a plant for 8.5-inch OLED panels for televisions in China in response to growing demand for OLED TVs in the global market. The Korean display maker is currently the sole producer of large OLED panels for televisions globally. At the end of July, the display firm asked for approval from the Korean government to build a plant in China. A company should be permitted by the government before building a plant overseas to produce the nation’s designated key technology in order to prevent technology leaks and protect key industries. Two months have passed since then, but the government has yet to give the green light, reportedly because it is not sure whether it is appropriate to build plants in China, where some Korean conglomerates are facing setbacks due to political issues. 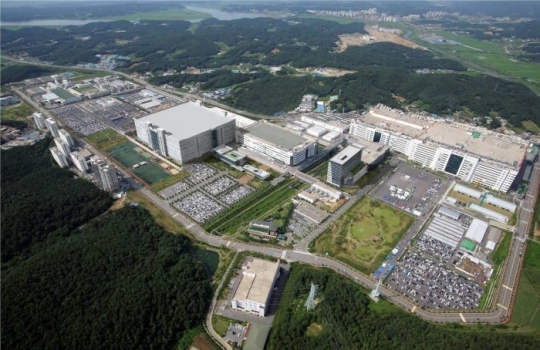 Hyundai Motor, Lotte and two battery makers, Samsung SDI and LG Chem, are facing challenges in the nation due to China’s retaliation against Seoul over the deployment of a US defense shield here. “China’s huge investment is causing concerns over the reduction of gap in technology and global oversupply. Take extra care to protect technologies and manpower from rival countries,” the minister said. LG Display, however, insisted that building its plant in China is critical to the company in order for it to capitalize on growing OLED panel demand from global television makers from Europe, China and Japan. On the same day, LG Display Vice President Lee Bang-soo met with Trade Ministry officials to further explain how the company would protect its technology and highlight the need to expand overseas plants for cost competitiveness.